"Does hope really dig that deep?" 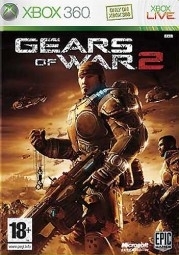 Gears of War® 2 is the highly anticipated sequel to the 4.7 million-selling blockbuster third-person tactical action game, and one of the most popular Xbox 360 games in history. 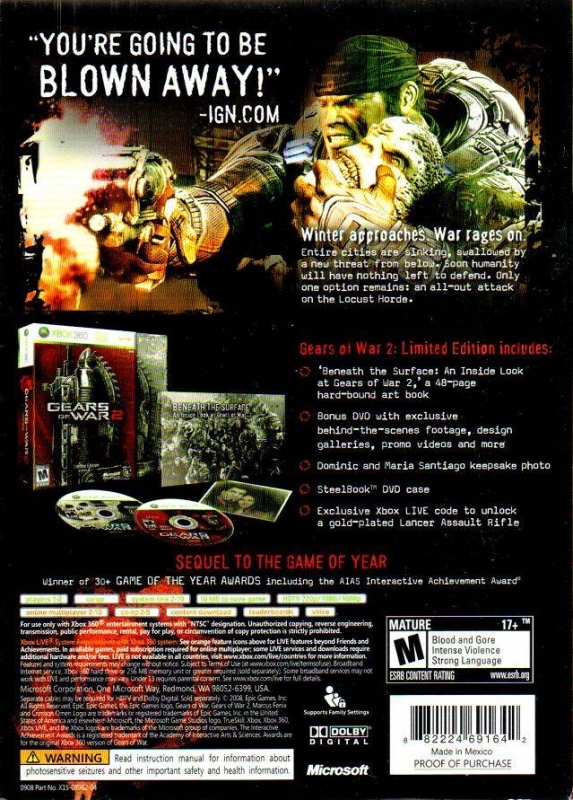 Gears of War 2 picks up six months after the events of Gears of War, and thrusts you back into a deep and harrowing story of humankind's epic battle for survival against a nightmarish force of underground creatures known as the Locust Horde. 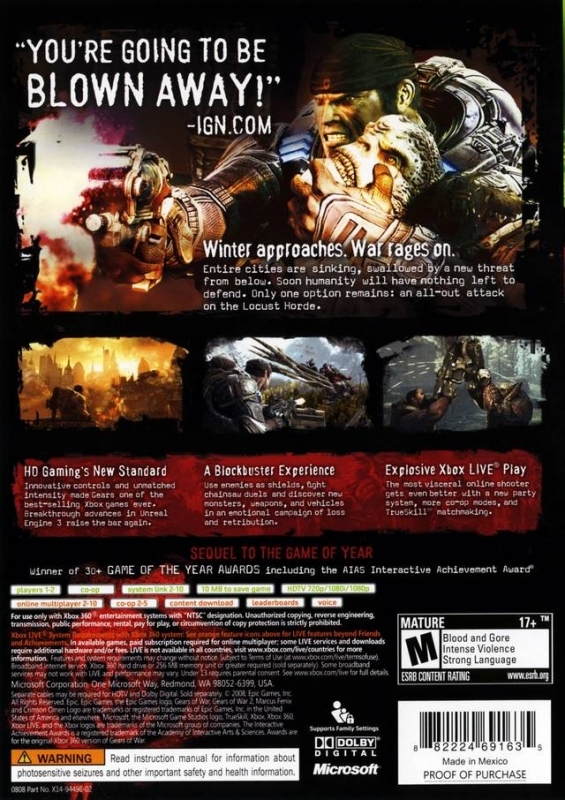 Gears of War 2 is developed by Epic Games exclusively for Xbox 360®. 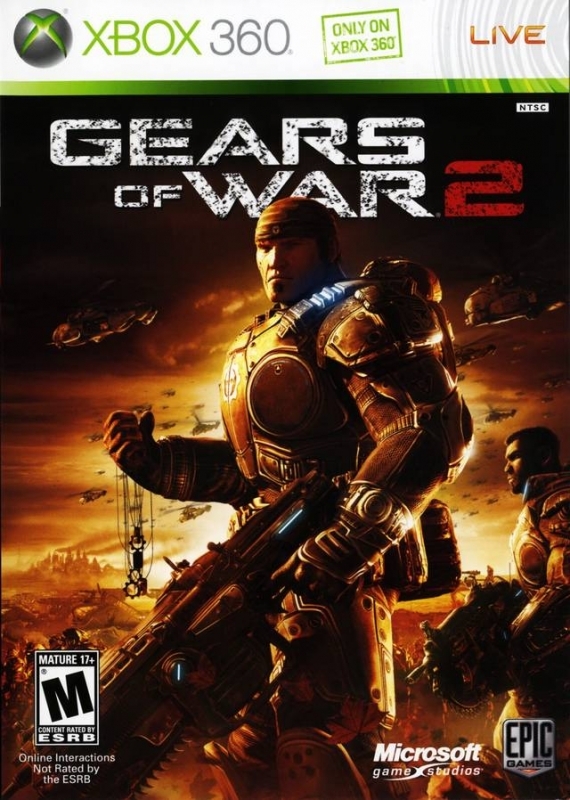 Continue the story of Marcus Fenix, a reluctant war hero, as he leads Delta Squad on a series of perilous and adrenaline-pumping missions. 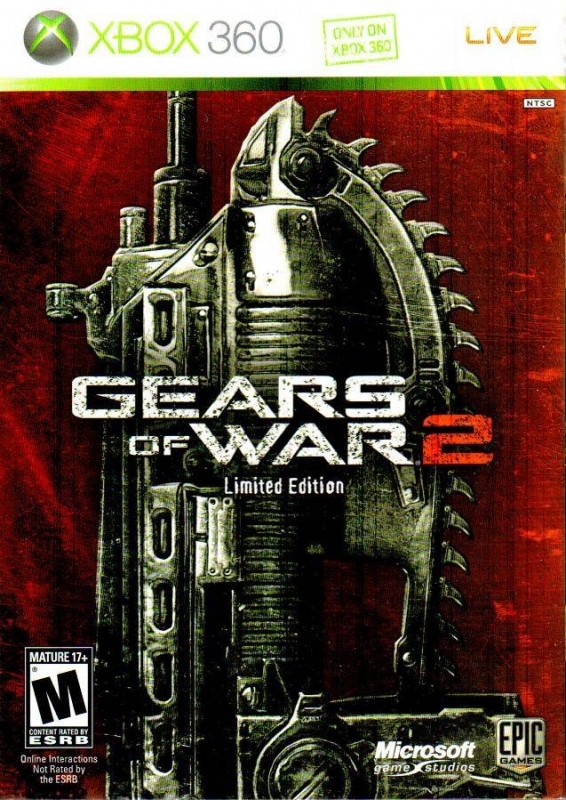 Gears of War 2 blends a best-in-class third-person shooter with unsurpassed high-definition visuals, all layered on top of an engaging story of survival, loss, and retribution. 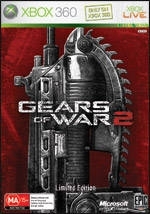 Bigger, better, and more badass gameplay: Gears of War 2 builds upon the gameplay of the first title in every way. 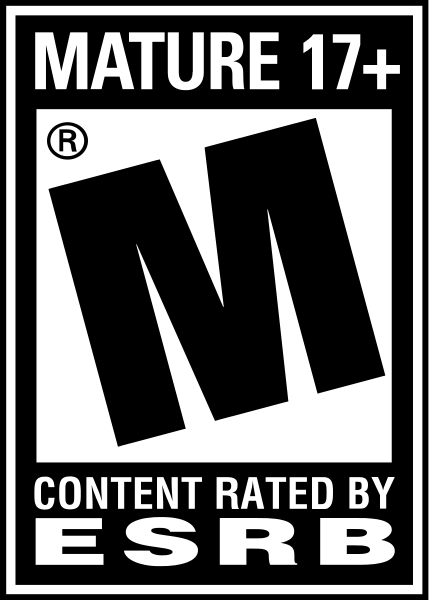 First, the scope of the action is bigger—new characters, more weapons, nastier enemies, bigger vehicles, and grander locales offer more action, more emotion, and more thrills. 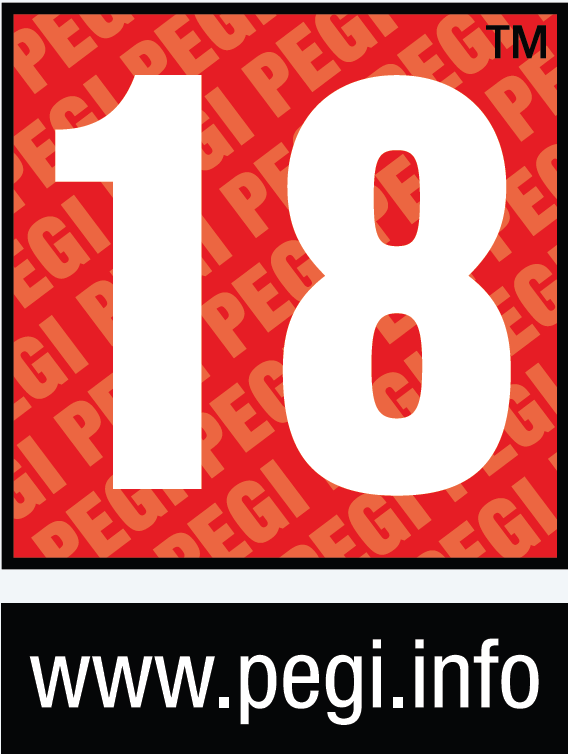 Next, every major aspect of the game has been refined to create heightened, more immersive experiences. 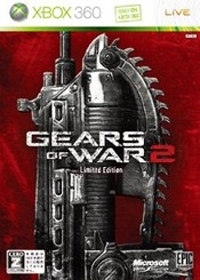 Finally, the overall tone of Gears of War 2 is more badass—replete with new weapon-specific executions, chainsaw duels, and shocking boss fights. 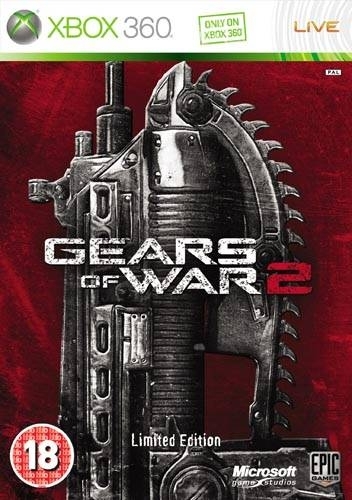 Jaw-dropping visuals: Gears of War 2 raises the graphics bar for next-generation games through its breathtaking visual effects, which are made possible through advances in Unreal Engine 3. 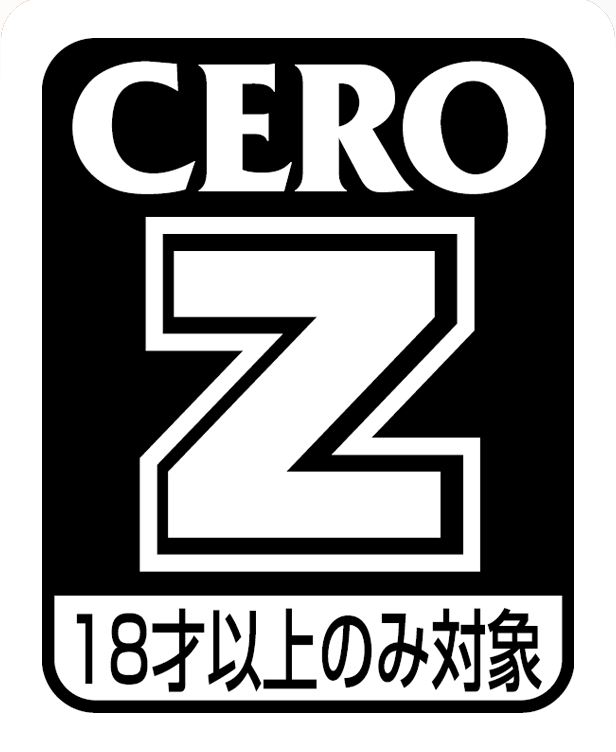 New visual effects include ambient occlusion, dynamic shadows, improved character lighting, the ability to render hundreds of on-screen characters simultaneously, improved water physics, additional blood and bullet decals, advanced destructible environments, new weather effects, and the introduction of fluid objects. 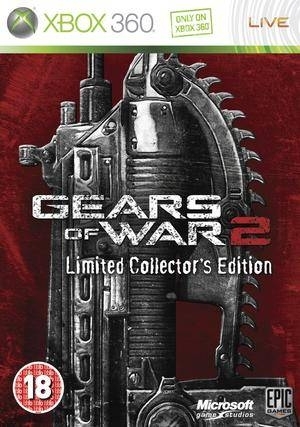 When combined with the sweeping vistas and evocative locales in the world of Sera where the Gears of War 2 story unfolds, these additions help make this the most gorgeous game available this generation. 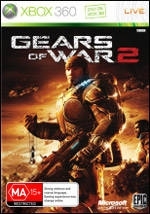 Gripping story: Gears of War 2 continues to push deep, immersive storytelling in video games to greater heights. Humanity's epic battle for survival is felt on both the personal and epic levels as you explore multiple story arcs that introduce new characters and flesh out the histories of familiar ones. A new in-game conversational camera system also helps bring the compelling story to life in a cinematic fashion. 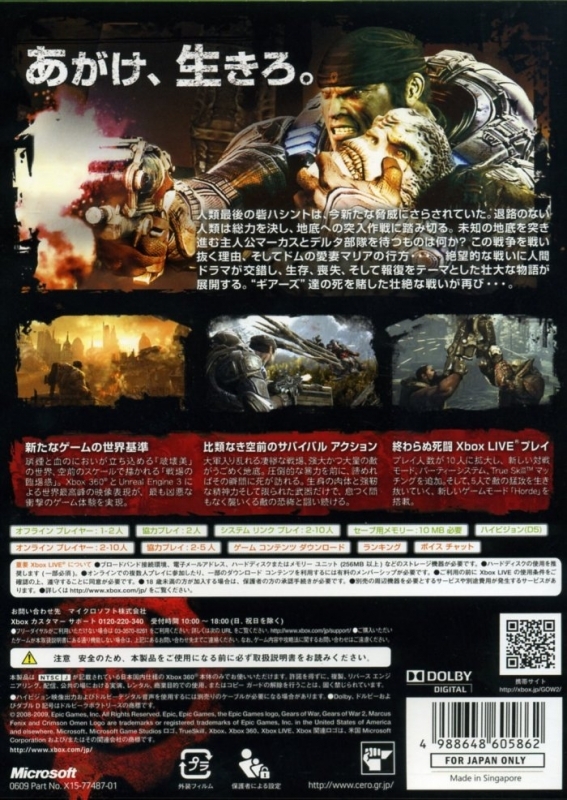 Unparalleled Xbox LIVE action: Gears of War 2 takes full advantage of the industry-leading Xbox LIVE® service. 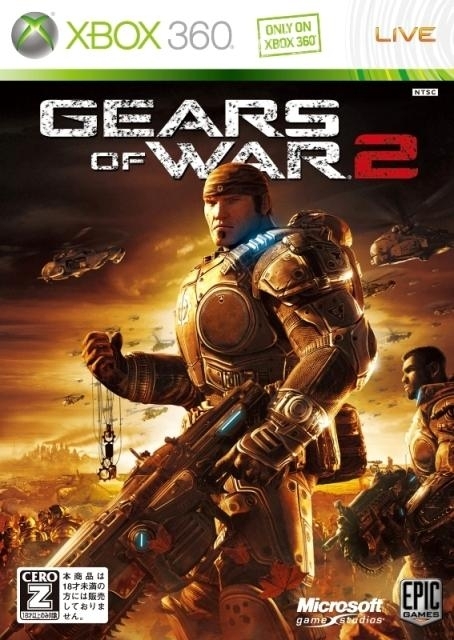 Home to 10 million gamers, Xbox LIVE is a robust online entertainment network and allows you to experience Gears of War 2 either competitively or cooperatively. 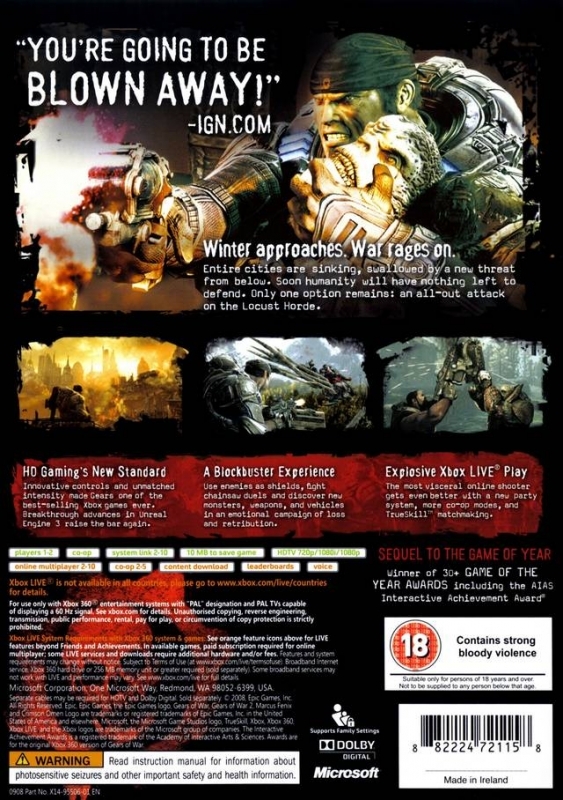 Enhanced competitive multiplayer gameplay over Xbox LIVE introduces new modes, weapons, and a multitude of new maps. 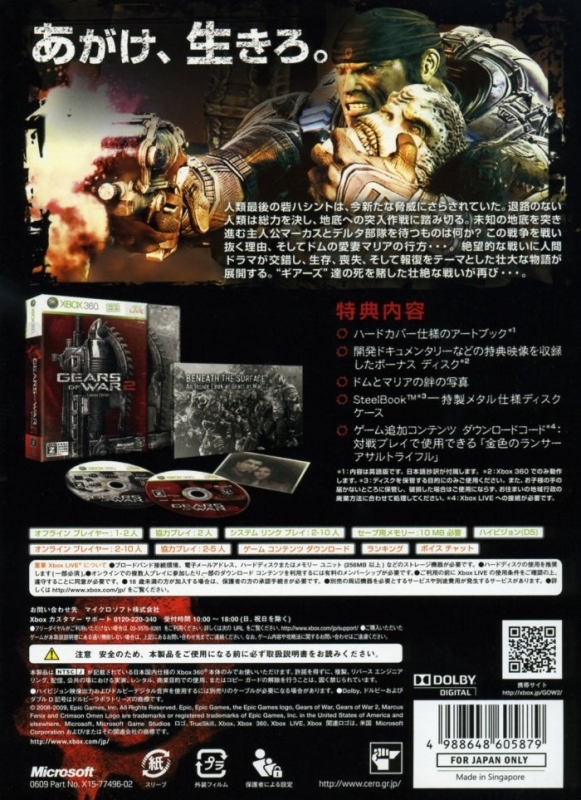 Also new to Gears of War 2 is the ability to drop in and drop out of the co-op campaign at anytime, while allowing you to play at their own difficulty setting. 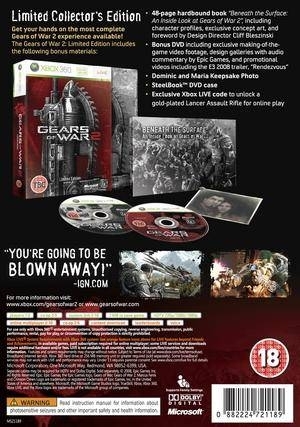 Enjoying the visceral thrills of Gears of War has never been easier.